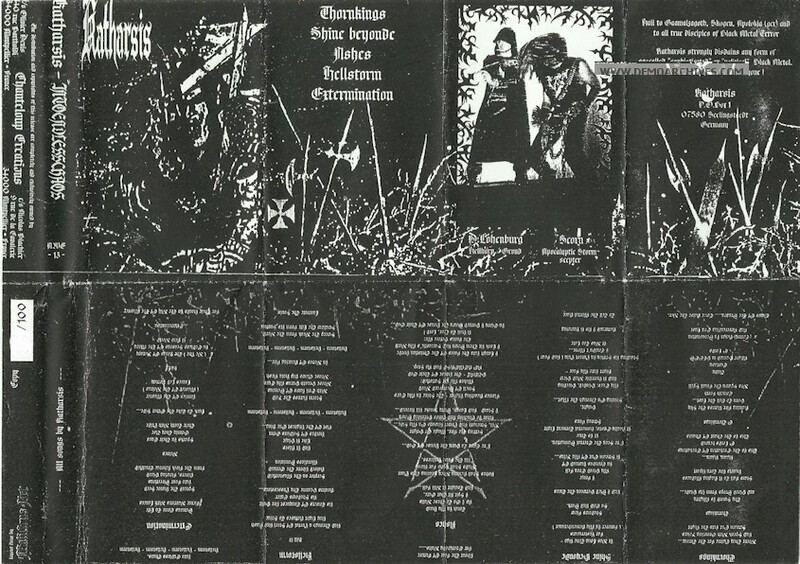 Katharsis started in 1994 and released their first demo tape in 1996. After three demo tapes and two split releases they released their cult debut album 666 on vinyl only through Sombre Records. Pro printed glossy covers and blank studio tapes. Lyrics on back. Limited to 150 handnumbered copies.